Booth Enterprises is a boat building fiberglass shop that makes it own molds and also produces products for other companies. Booth Enterprises has been in operation in Victoria BC since 1974. 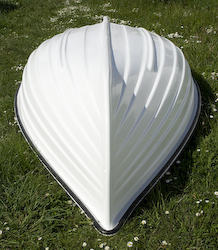 Over the last 39 years we have produced a huge variety of fiberglass products including complete Thunderbird sailboats, and the Seattle Mini 12 fleet. Booth Enterprises is now selling the perfect boat for performing in-water maintenance of boat bottoms and topsides. It allows the user to stand comfortably with their waist at or below the waterline. 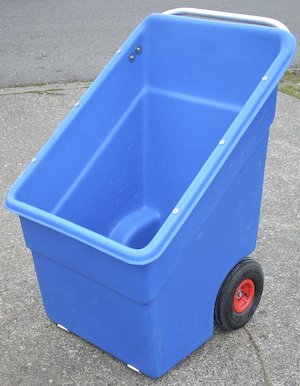 The purpose built boat for in water maintenance of boat bottoms and top sides. We manufacture a wide range of range dingings and tenders. We have rowing and sailing models of Minto, Whitehall, and Davidson. Currently Booth Enterprises makes rudders for Catalina 27ft sailboats. In addition we have a series of rudder molds suitable for many sailboats sizes and can fabricate custom rudders on demand. 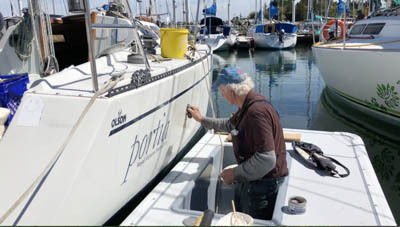 This can allow sailboats to be retrofitted with a modern high aspect spade rudder. For further information please contact us. Spare parts and consultation are available for products made by Booth Enterprises. For further information please contact us.